The area has experienced very high sea surface and air temperature anomalies through the last few weeks. 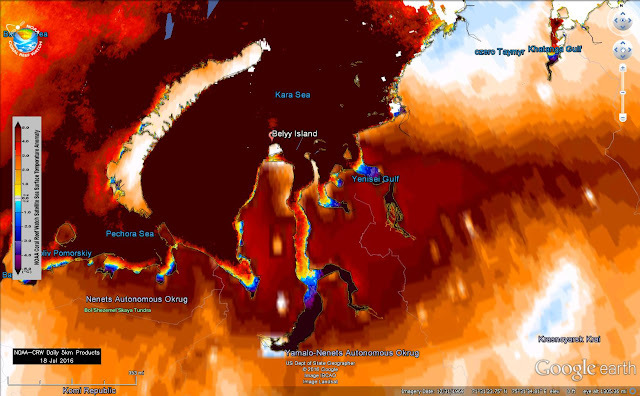 The sea surface temperature anomalies are from Coral Reef Watch SST anomalies, and the air temperature anomalies are from Climate Reanalyzer, up to 20 C above normal in the area. They are displayed as a Google Earth image. 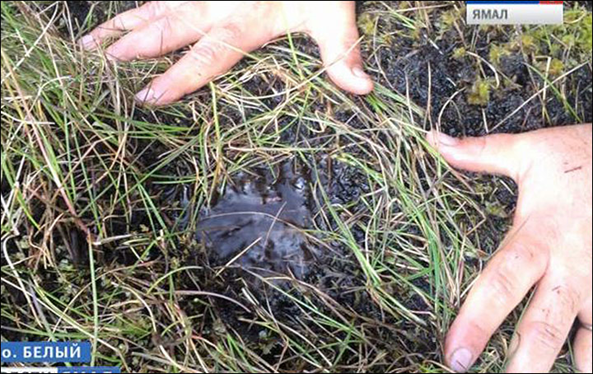 The researchers are popping through layers of grass, and sampling carbon dixode and methane bubbling out of the ground from underlying permafrost. 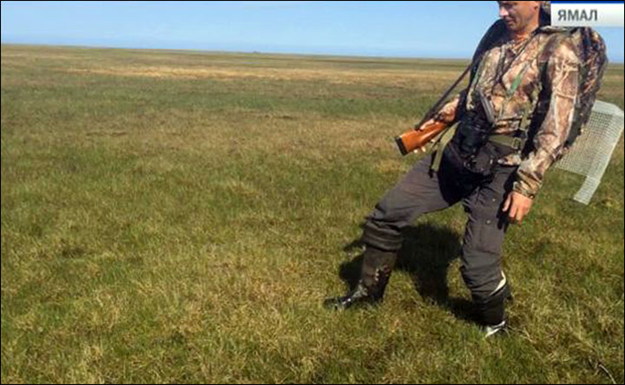 The Siberian Times reports, "This extraordinary sight - in a video filmed of the tundra on remote Belyy Island in the Kara Sea off the Yamal Peninsula coastline - was witnessed by a scientific research expedition. 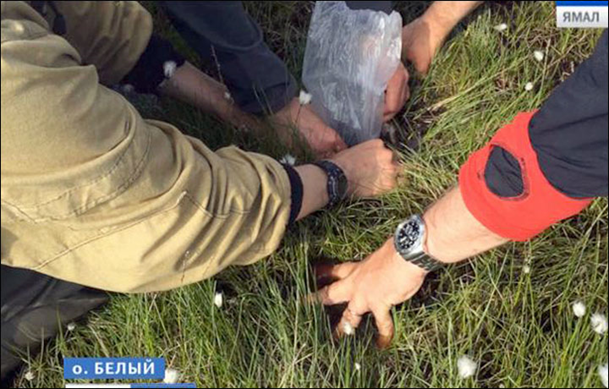 Researchers Alexander Sokolov and Dorothee Ehrich spotted 15 patches of trembling or bubbling grass-covered ground." "Alexander Sokolov is head of ecological R&D station of the Institute of Ecology of Plants and Animals of the Ural Department of the RAS in Labytnangi, Tyumen region. Ehrich is a researcher at the University of Tromso, The Arctic University of Norway." "When punctured they emitted methane and carbon dioxide, according to measurements, although so far no details have been given. 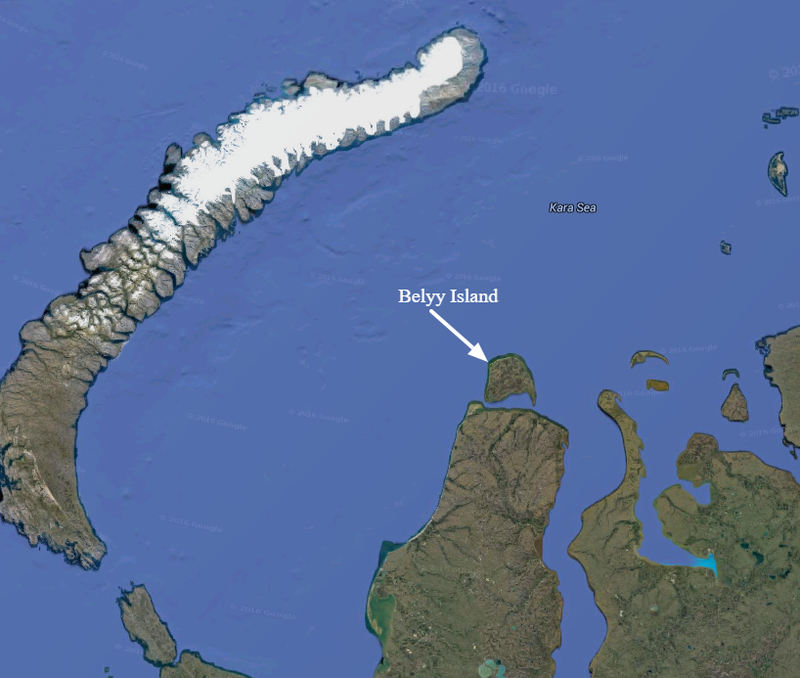 The reason is as yet unclear, but one possible explanation of the phenomenon is abnormal heat that caused permafrost to thaw, releasing gases." When one views satellite imagery of the methane concentrations over the Russian Arctic, they are clearly higher this year. This story is one example of atmospheric and ocean heating is accelerating increasing permafrost greenhouse gas emissions.